I know this probably a topic that has already been discussed. I downloaded the google play store onto my classic as well as the google account and google ID and it is still not working properly. 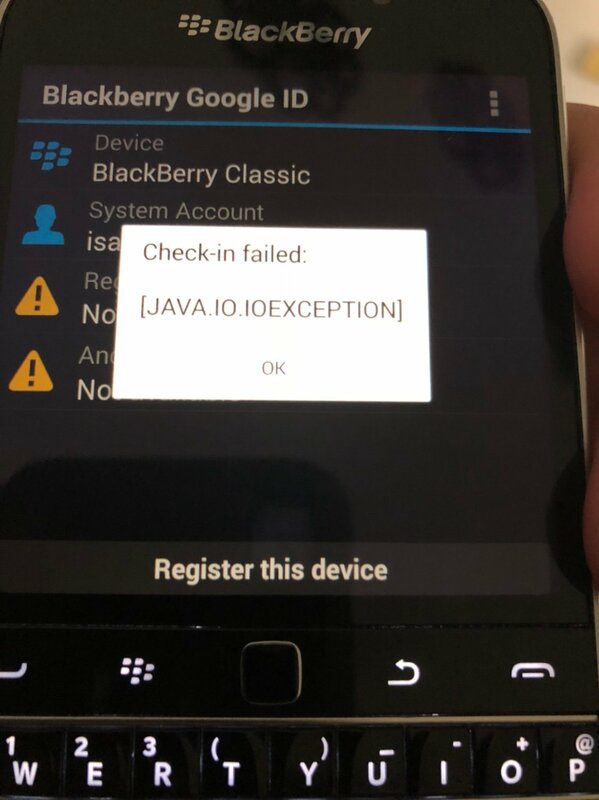 The google account says I need to register my device and when I try to it comes back with a java error. And I can’t get into the play store and browse around. I did what most videos on YouTube say to do specifically that guy jay oled I think his name is. Can someone please help maybe I’m missing something here or maybe the google play store cannot work on bb10 anymore? I just gave up with all the hacking and fixes and bought myself an A8. I know that's not much of an answer for you but I've had as much as I can take from keeping my Passport and Leap alive. Why do I have Ads on BBM on my KEYᵒⁿᵉ?